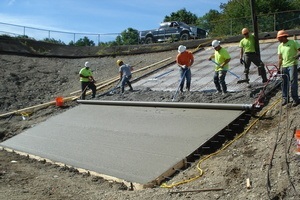 Interconex offers a variety of concrete screeds for most concrete floor or paving applications. Magic Screed is a floating vibratory screed, featuring a 35cc Honda Engine. It is fast and easy to use, and provides uniform distribution over the entire blade length. Blades are available from 4′ to 16′ in 2′ increments. These are available in either engine or hydraulic drive power. 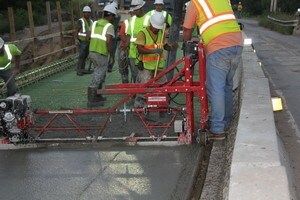 The Roller Tube Finisher (RTF) strikes off concrete fast and accurately, quickly establishing surface grade. 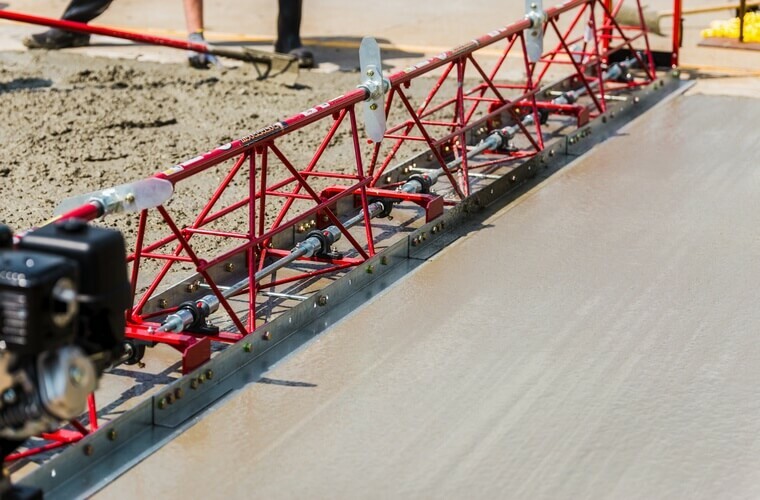 Portable and powerful, the RTF is the perfect quick-strike finisher for paving—especially for pervious concrete. 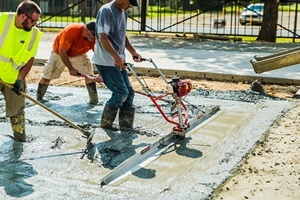 The Allen® Razorback® Truss Screed is the contractor’s preferred brand when high tolerance FL Numbers are specified on concrete floors and pavements. These are available in both steel and aluminum, engine driven or pneumatic, and with manual or hydraulic winches. There are also many optional items available which allow you to design the perfect screed for your job.